In the aftermath of the senseless slaughter of nine African-Americans by Dylann Roof – a crazed White supremacist who sometimes was pictured with a Confederate battle flag – many have called for the permanent removal of the Confederate flag from all public places. Others have demanded that certain memorial parks and buildings be renamed; and Confederate monuments, which have stood unchallenged for decades, be immediately uprooted. Last week, Baltimore Mayor Stephanie Rawlings-Blake also entered the fray, calling for a special commission to review all of Baltimore’s Confederate statues and historical assets. To better understand the history of the American Civil War and see how those events shaped today’s debate in Maryland, the Baltimore Post-Examiner spoke with award-winning historian Daniel Carroll Toomey. Toomey is considered a leading authority on the Civil War in Maryland. A graduate of the University of Maryland, he is the author or co-author of ten books relating to that subject, including The Civil War in Maryland, Baltimore During the Civil War, and The Maryland Line Confederate Soldiers Home. Toomey has lectured at a number of colleges and institutions including Johns Hopkins University and the Smithsonian Institution. Currently, he is curating the intriguing exhibit, “The War Came By Train”, at the B&O Railroad Museum. Toomey was also honored with the task of writing the inscription for the Maryland Monument at Gettysburg. BPE: Thank you for taking some time to speak with us today. To start, could you briefly address the political and social backdrop of Baltimore in the 1860s? Toomey: Of course. The war began in 1861, and people have to go back in time and comprehend what was going on then – not look at history with 150 years worth of hindsight. Because Maryland was border state and a Southern state, it was unique. Baltimore was a purely Southern city. It had the old first families from the Revolution. It had house servants and slaves, but it also had the largest Free Black population in the United States. The city had this Southern personality but it had a Northern economy. It was the largest industrial city in the South. It had four railroads and every kind of factory you could imagine. So economically and socially it was pulled apart. 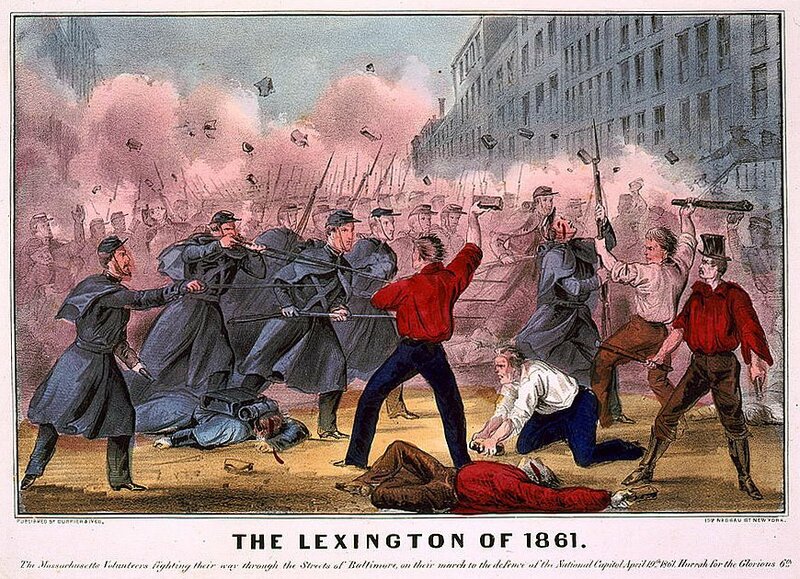 After the Pratt Street riots in 1861, everyone in the North assumed that everybody in Baltimore was a die-hard Confederate, which couldn’t be farther from the truth. The simplest way to describe the conflict is this: After the firing on Fort Sumter – if you lived in Vermont, you didn’t have to think about it – you were a Yankee. If you were in Florida – you were a Rebel. If you lived in Maryland, you had to think – “What side would you be on?” Would you go to war against your brother-in-law in Virginia or your nephew in Pennsylvania? What decisions were you going to make? The essence of the situation in 1861 was therefore this: Marylanders didn’t want to leave the Union. We were proud of our place in American History. But we didn’t want to go to war against the South and our friends and relatives in Virginia. So what do you do? That’s why the first thing they did after the Pratt Street riots was to tear down all the telegraph wires, burn the railroad bridges and – as Mayor Brown called it – go into a period of armed neutrality. We tried to stop things before they got any worse. It took a great deal of courage to try to avert the war rather than make it happen. So Marylanders weren’t a bunch of radical idiots, though there were of course some on both sides of the line. Just like today. BPE: What about the aborted vote to secede? Toomey: Immediately after the Pratt Street riots, the governor called a special meeting of the legislature in Frederick, because it was the least agitated area in the state. Remember, Annapolis is in southern Maryland. There were no Union troops in Frederick. Fort McHenry – home of the Star Spangled Banner – served as a prison for dissenting Marylanders. The legislature refused to address the issue of slavery, but what they did was send representatives to the President of the United States; the President of the Confederacy, and the Governor of Pennsylvania and asked, ‘Can we not negotiate some kind of 11th hour settlement before this country blows apart?’ That all fell on deaf ears, and the war began, following the Battle of Bull Run. That was a Union defeat, and Washington panicked based on what they thought Maryland might do if the legislature held another special session. Lincoln sent the Army to arrest the mayor of Baltimore, the governor, the legislature and the newspaper people and imprisoned them in Fort McHenry before they could reconvene. There was never any real vote to secede. They could have done that in Frederick in April of 1861, and they didn’t. So all Marylanders weren’t bad people, even though the Yankees thought they were. That was the stir in April 1861. BPE: Would slavery have been a central issue for Maryland at that point? Toomey: Again, you have to go back and look at was going on at the time. You had three groups of people. As I said, by the 1860’s, Maryland had the largest population of Free Blacks in the United States. 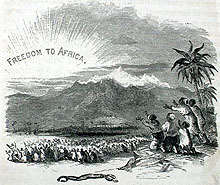 The slave/free split was 50-50, but slavery was fast becoming obsolete. The crops grown on the Eastern Shore had changed, and there was no reason for slavery there; the development of western Maryland had nothing to do with tobacco or anything like that. So what ended up happening was the slave owners would either sell the slaves south – again, strictly a business decision and not a moral choice – or they would hold onto the slaves and grant them their freedom in their wills. Woodcut by Hammat Billings from the 1853 Edition of Uncle Tom’s Cabin. BPE: How many Marylanders joined the Union or the Confederacy? Toomey: Maryland was a divided state, so you had people going in both directions. The numbers over the years have been totally exaggerated, but I will tell you that there were probably 12,000 – 15,000 Maryland men serving in the Confederate Army and Navy, and about 35,000 in the Union Army and Navy. It was easily a 2-1 split of who served for the North and who served for the South. BPE: Do you know of any black Marylanders who fought in the Civil War? Toomey: Great question! It’s an under reported story. I actually do a talk on that subject and whenever I’ve given that lecture, to a group of primarily Black attendees, they have been incredibly receptive to it. 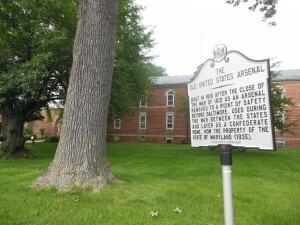 The talk is called, “Maryland’s Forgotten Warriors – The United States Colored Troops”. Maryland raised six regiments of Colored Troops. At the beginning of the war, it was just White men fighting, but slaves were escaping and Maryland already had, as I said earlier, about a 50/50 split of slaves to freemen. 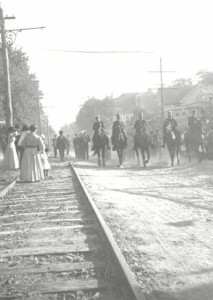 Eventually, the U.S. military hired some 10,000 former slaves to work on the railroads in the construction battalion. Frederick Douglas, a Marylander who was the leading Black voice in the United States, pushed for the idea of not only letting the Blacks work for the Union Army, but be part of the Union Army as well. Finally, after the Emancipation Proclamation, that came to fruition. 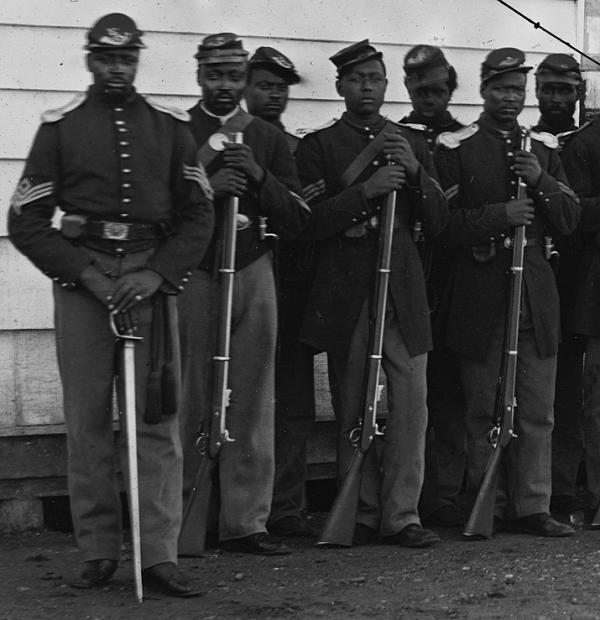 The Army was segregated, just like it was during World War II, so they created The United States Colored Troops. That was their official designation. They were Black men, commanded by White officers – again, just like in WWII – but these troops were raised all over the place. In the State of Maryland alone, they raised six regiments of Colored Troops. A seventh regiment was formed in Norfolk, Virginia, but it was made up almost entirely of Blacks from the lower Eastern Shore and Southern Maryland. They had a tremendous combat record; there were a number of Medal of Honor recipients. In the end, they made a huge contribution to the Union war effort, those six regiments from Maryland. BPE: Did any Black Marylanders fight for the Confederacy? Toomey: That’s hard to say for sure, but I can tell you this: slave owners often took their slaves to war. The slaves cooked, sometimes they drove wagons, sometimes they carried guns. They may have even had jobs within a regiment. Did they do anything beyond that? I really don’t know enough on that subject to make an authoritative statement. And no one to my knowledge has written the definitive work on that subject. At least not that has caught my attention. There definitely were Black soldiers in the Confederate Army, but were they a combat component? I really don’t know. 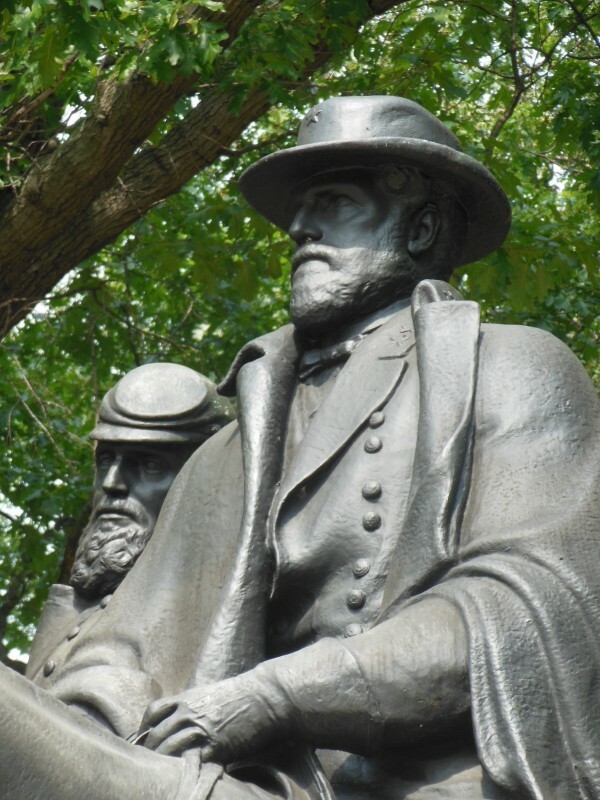 BPE: Turning to the local monument debate, did any former Confederates make significant contributions to the State of Maryland, either before or after the War? The Baltimore City Mounted Police unit was started by a former Confederate cavalry officer. Toomey: Yes, both before AND after, but we should concentrate on what they did after. Remember, it was a difficult decision and families were split – but after the war, physically, Maryland was not a wreck. 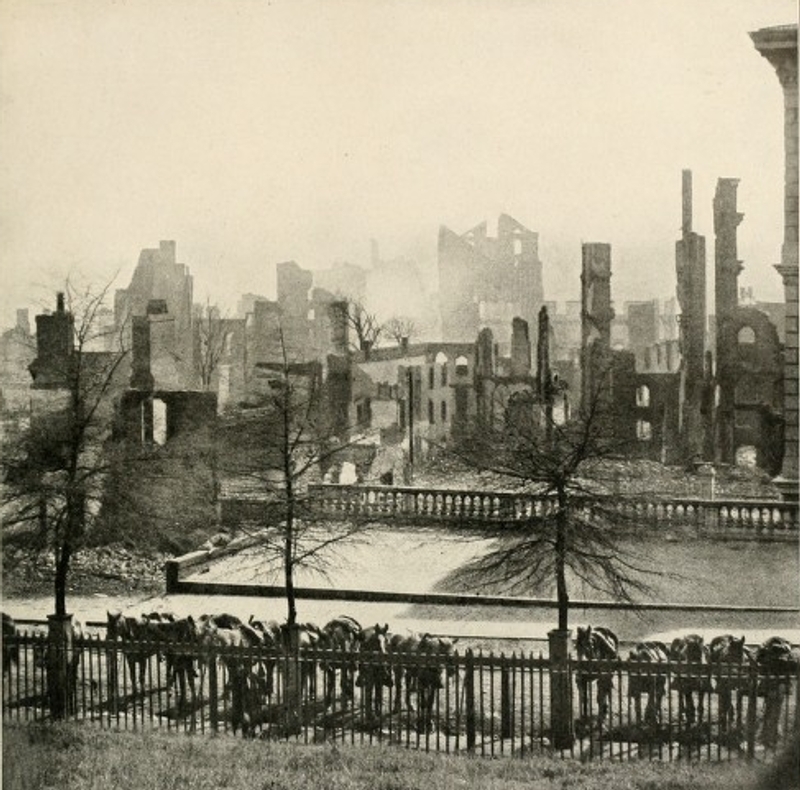 There was damage in Sharpsburg because of Antietam, but Baltimore wasn’t destroyed like Richmond, Atlanta and the Shenandoah Valley. When Maryland Confederates came back, they were disenfranchised for a very short time. They soon got their vote back and basically, everybody picked up where they had left off. I know of instances where Union and Confederate veterans went into businesses together. The militia was reorganized into the Maryland National Guard, and three former Confederate officers became Adjutant Generals of the guard. Many other former Confederates became lower level officers in the guard. Harry Gilmor, who was famous for wrecking the telegraph lines, led the cavalry battalion which defended Camden Station during the railroad strike. Another former Confederate, Charles H. Stanley, put up the money for a public library in Laurel. Now they want to take his name off of it because of his Confederate past. By and large, the veterans – whether Union or Confederate – wanted to get on with their lives. They were concerned with their comradeship and what they had gone through together, but they weren’t trying to do anything radical. They were proud of their service, and formed organizations; sometimes just to sit around and drink beer and tell lies. Contrary to what some think, that’s more of what they were doing than plotting subversive activities. BPE: What about the Confederate benevolent organizations in Maryland? How many of them were there, and were they involved with the construction of the monuments? Toomey: Immediately after the war, veterans organizations began to be created. The largest of these – North or South – was the GAR (Grand Army of the Republic). That was launched in 1866, so the Union veterans didn’t wait long. The Confederates – because of the defeat and the economic situation in the South – had more important things to do, but eventually they got going. In Maryland, in 1866, the Women’s Southern Relief Organization was founded to help with the desolation in the South. They raised a lot of money to assist people – particularly in the Shenandoah Valley, where (Union Generals) Sheridan and Hunter had burned everything to the ground. There was always a strong connection between Maryland and Virginia; intermarriages, business, geography, etc. So the women here were actually the ones who got things started. 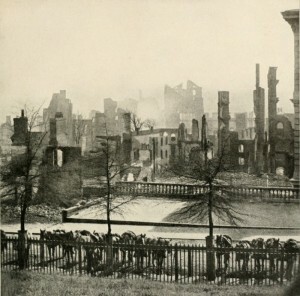 Richmond in ruins – April 1865. There was also the Society of the Army and Navy of the Confederate States in Maryland. They would meet regularly, give lectures and support monument dedications. They also established Confederate Memorial Day which is easy to remember because it’s June 6 – the same as D-Day. That shocks a lot of people who don’t know about it. Of course, the GAR established Memorial Day in 1868, so both are Civil War holidays. 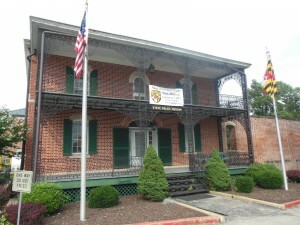 Another organization was the Association of the Maryland Line. That group’s primary mission initially was to collect rosters of the Maryland men who had served in the Confederate Army. There were two infantry and two cavalry units, along with four artillery units and other miscellaneous people. They just wanted to preserve the military records. And then in the 1880’s, something unique happened here. When the war was over, Union soldiers were able to go to Federally funded soldiers homes, just like our veterans today have access to VA hospitals. But Confederate veterans were not allowed in Federally operated homes, so in the South – Virginia, North Carolina, Florida – all of the Southern states provided pensions for the Confederate veterans because they weren’t going to get anything from the Union. In each state, they built a Confederate soldiers home. A Confederate veteran in Maryland was in a no-mans land. He couldn’t get Federal benefits, and since Maryland was not officially a Southern state, he couldn’t get anything from the state either. Twenty years after the war, these guys were getting older, and some were infirm and still suffering from injuries. They needed help. 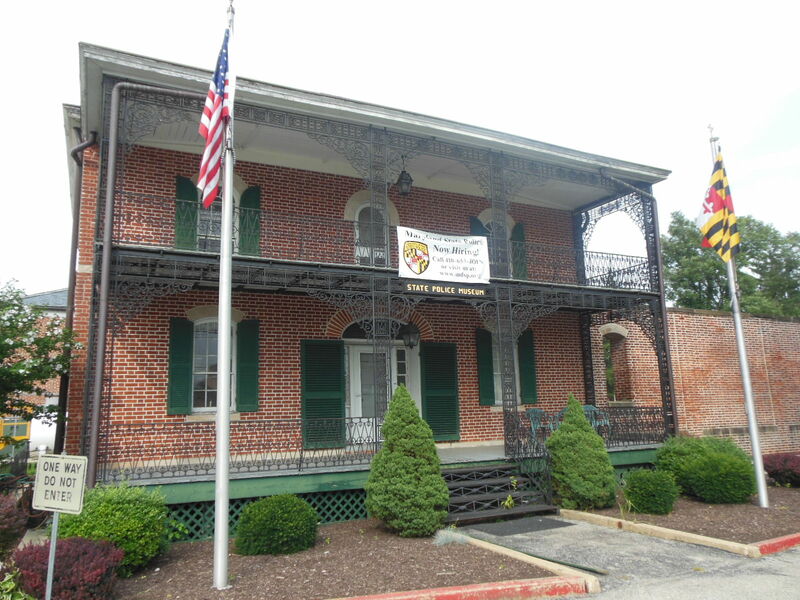 So Bradley T. Johnson, President of the Association of the Maryland Line, looked at the situation and reasoned that the best way to address this need was for all of the smaller organizations to pool their resources and create a soldiers home for Confederate veterans. The old arsenal in Pikesville was obsolete and no longer in use, so Johnson approached the state legislature and requested the use of the buildings and ground for a home for Confederate veterans. Everything would be paid for with private funds and not tax money. There was really no animosity in the state – everybody seems to have gotten along well – so the state said, “Sure, why not? These guys need help”, and permission was granted to use the old arsenal. Every organization pitched in, whether it was the United Daughters of the Confederacy or the Sons of Confederate Veterans, whoever, they all did their part and opened this incredible home for Confederate veterans. I say incredible, because we know that even today, institutional care can be pretty cold and abrupt, but in this place all the rooms were nicely furnished, the guys were given grey uniforms to wear for holidays, they got medical care, tobacco, food. If they were healthy enough to work, they could. If not, they didn’t have to. They were 100% taken care of. That Pikesville location became a citadel of charity. It was run like a military installation, but they only had one charge – take care of the soldiers. The remarkable thing is, it lasted for over forty years and took care of over 400 men. It wasn’t just a flash in the pan. To this day, there are people in Pikesville who can tell stories they heard as children of how the local citizens were concerned and cared for their old Confederate veterans. BPE: Is the building still standing? Toomey: Yes, in fact it’s where the Maryland State Police headquarters is located. It remained open, as I said, for some forty years, until the last superintendent died. At that point, there were only two veterans left, and they were moved to private homes and cared for until they passed away. The buildings themselves served other uses, so they are very well preserved. BPE: So these organizations were very active and did a lot without any taxpayer money. Toomey: They also put up many of the monuments. Marylanders should be proud to know that the very first Confederate monument in Gettysburg was put up on Culp’s Hill to honor the Second Maryland Infantry. This wasn’t an easy decision, as the Maryland groups were the first ones to broach the subject. In fact, many on the other side asked, “Should there be an enemy monument on a Union battlefield?” But they consulted the Grand Army of the Republic of Pennsylvania and the GAR said, “Why not? They fought, too,” and so that monument was raised. A few years later, the State of Maryland put up a Union monument with taxpayer money, but the Confederate monument was strictly done with private funding. After that, Confederate monuments began to show up around the state of Maryland, so that’s how we got to where we are. BPE: Can you tell us anything about the Confederate monuments in Baltimore? Toomey: I’m no expert on monuments, but I can tell you that there is one to the Confederate women in north Baltimore. 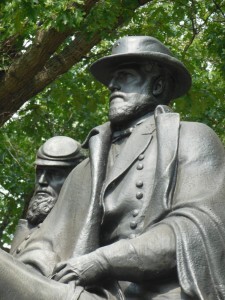 The Lee/Jackson Monument (in Wyman Park Dell) was erected as part of the will of a wealthy business man who considered the two generals his boyhood heroes. The estate had $75,000 to spend, so they hired a world class sculptor for the project. If you can step back from the hyperbole of the moment and just look at it artistically, you can see that it is a tremendously executed artwork. BPE: It’s kind of fitting, then, that it sits across the street from the Baltimore Museum of Art. Toomey: Right, and of course that was one of the high profile neighborhoods of the city. People tend to look at things through a modern eye, but you have to keep in mind, the neighborhood has changed. You have to ask, “Who was living there then?” Ten miles outside the center of Baltimore today is not like it was 100 years ago. BPE: But if they wanted to erect a statue, they still had to go through the proper government channels? Toomey: I’d think whatever they did, they did through the Baltimore City government. BPE: Do you have a view on the current controversy surrounding the Confederate battle flag? Toomey: That’s an incredibly complex issue. Nobody is all right, and nobody is all wrong. The Confederate flag flying at the state capitol in Columbia, South Carolina should come down. The reason they were put up there was primarily to celebrate the Civil War Centennial, but by and large, they weren’t flying it there from 1861 – 1961. The state capitol is not just the Southern sympathizers’ capitol – it’s everybody’s capitol. Let me also say this: History is the current interpretation of past events. If you look at a history book from 100 years ago and compare it to one today, you’d never know they were talking about the same things. You won’t get a college professor to say that, but I am saying that now. Governor Ernest “Fritz” Hollings, (D-SC) presents a Confederate battle flag to President John F. Kennedy. In 1961, it was a great idea to be a politician and fly the Confederate flag when everyone agreed it was the thing to do. Back then, everybody was on your side. Do that today and you’d get run out of office. Times have changed; opinions have changed. BPE: But has the history changed? Toomey: The flag should come down, because it’s not historically correct. That said, the Confederate flag IS a part of our history. You can’t ignore your history. It belongs in every museum with a Civil War display; it belongs in every history book about the Civil War; and it belongs in every store that sells Civil War merchandise. You can’t have a war with just one side, and if you want to sanitize history, you’re only making a fool of yourself. Do you want to say, “We did great things but there is no history about the people we did them against.” I mean, it takes two to have a war, and you have to tell both sides. This country overcame a difficult situation and we should be proud that we overcame it and not whining in our beer over it. BPE: What do you hear from other historians about the current monument controversy? Toomey: Well, to me, it is a phony issue and a ridiculous waste of time. It’s nothing more than a political football. First of all, it’s the power of history, and people who want to sanitize history to only have it their way, should think, “OK. Let’s do it your way. Let’s take down anything Confederate, because it represents slavery.” If you do that, you have to take down the Washington Monument – not just the one here that they just spent 5.5 million dollars to restore, but also in DC, because Washington was a slave owner. Same thing with the Jefferson Memorial, because Jefferson was a slave owner. Then you have to change the name of the city of Washington, and the state. What about Mt. Rushmore? Where does it stop? That guy that murdered those innocent people in South Carolina was as damaging to the Confederate cause as John Wilkes Booth. All he did was set everyone against the concept of Southern History. History must be preserved, and it would be nice if they taught it in schools today and spent more than five minutes on it. Then people might understand what’s going on. Is a Confederate flag on a state building acceptable? Absolutely not. Is slavery a good idea? Absolutely not. Did we have a Civil War with two sides? Yes we did, so get over it. But we have to have some rationale. The State of Maryland does not allow the Confederate flag to fly over the cemetery at Point Lookout because it might offend somebody, even though you’ve got thousands of dead Confederates buried there. It’s our history; they died in Maryland. We did honor to the Union soldiers who died in Antietam with a National Cemetery, but they wouldn’t let Confederates be buried there, because they were the enemy at the time. So they created a Confederate Cemetery in Hagerstown; a Confederate Cemetery in Frederick; a Confederate Cemetery in West Virginia.. Flying a Confederate flag over a state building is wrong, but over a cemetery? A little common sense would go a long way. I get that you wouldn’t want to bury a Japanese pilot in the cemetery at Pearl Harbor, but if you eradicate history you don’t like, someday someone will come along and eradicate your history. If you start rewriting history to make yourself feel all warm and cozy, someone will do the same thing to you someday. BPE: Like what some locally are trying to do to Robert E. Lee? Toomey: People don’t realize what a tortuous decision these (Confederate) men had to make; Do I fight for the Union flag, or do I fight for my family? Many of them were career officers with 10-20 years of experience in the U.S. Army. Lee was a hero in the Mexican War, and his decision to quit at Appomattox kept the Civil War from dragging on. People forget that – when he surrendered – he told his men to go home and be good citizens. That should count for something.